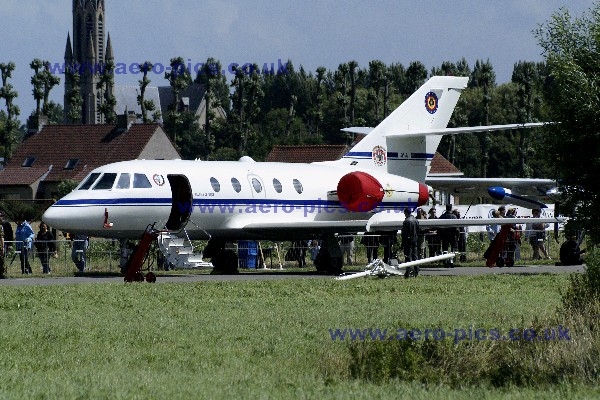 Dassault Falcon 20E CM01 of 15 Wing, Belgian Defence Component at Koksijde in 2007. If you would prefer to send your order by post, please download a Print-and-Post UK ORDER FORM quoting, in full, the Aeropics reference number at the top of this page. We will then send your high-resolution TIFF or JPEG image (you may select from these format opitions on the order form) to you on a CD by first class post.